The inspectors at A-Pro Home Inspection Bay Village Ohio perform a visual inspection of the roof’s materials, which is part of a complete 500-point inspection. When it’s not possible to actually get on the roof, electronic means can be used to enable the inspector to report on the type of roof covering material and any signs of damage. An inspection of a home’s roof materials goes hand in hand with other assessments — such as checking for moisture in the attic — that enable the home inspector to evaluate the roof as a whole. For a roof materials inspection and much more, hire a certified local A-Pro home inspector Bay Village Ohio, call 1 440-961-2099. 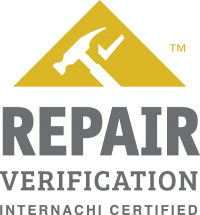 Tagged Bay Village Home Inspection, Bay Village Home Inspectors, Home Inspection Bay Village, Home Inspection In Bay Village OH, home inspection Northern Ohio, Home Inspectors In Bay Village OH, The Best Home Inspectors In Bay Village.